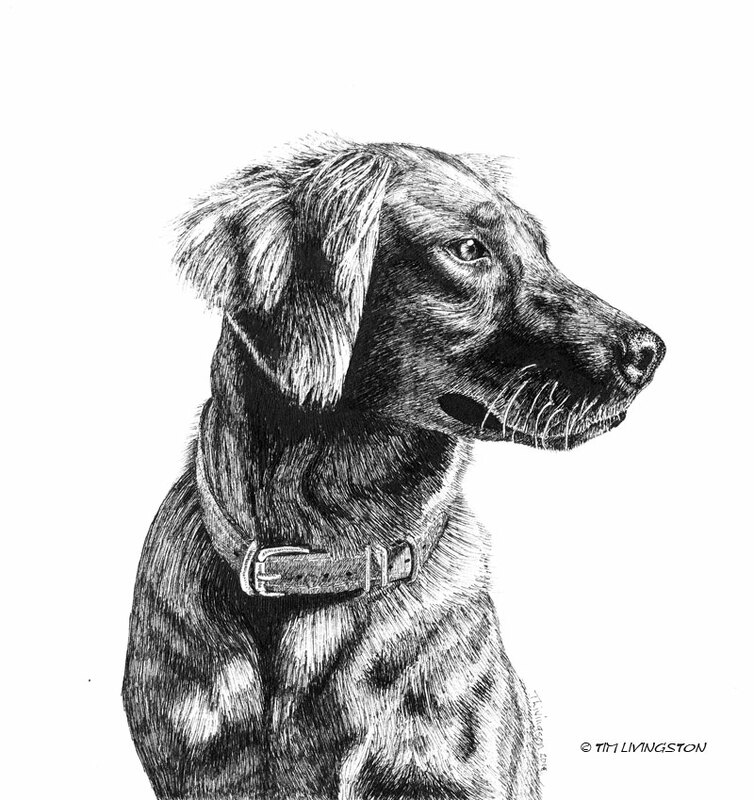 This entry was posted in Drawing, Pen and Ink, Traveling Companions and tagged dogs, drawing, golden retriever, pen and ink, Pen drawing, pet portrait, pets, Tasha by foresterartist. Bookmark the permalink. Thank you Bobbie, and she’s even more beautiful in person! Shes beautiful! She’s Tommy’s Mom! That’s why Tommy is so handsome! Really gorgeous dog. Congratulations on becoming a new puppy grandfather. I bet they are so cute. I read that goldens have large litters. Ten puppies to nurse. Wow! Thank you Yvonne! Ten pups in a litter is common. We’ve had as many as thirteen. Yes, puppies feed in shifts! Yes, by moving mom out of the whelping box and giving the little ones quality time with mom. Some of the big faster growing puppies don’t need the extra help. Fortunately, she has enough spickots for all the pups. Lovely. Way to go mama. Yes, we’re very happy with how everyone is doing. Her pups will be as beautiful as her! Wish I could have one. Wow! Just beautiful!! Congratulations on the new puppies! 10!! Is that normal? Hope all’s well with mom and pups. She’s a beauty, and I’ve got one just like her! Can’t wait for our new puppy from her. Let me tell you Debbie, those little girls are so cute! Congrats on the portrait and the puppies! Wonderful news! And a *beautiful* portrait as well. Congratulations on both fronts! Thank you so much Teresa! We very happy about those puppies. It’s hard to go wrong with such a beautiful model!